The frustrated Prema driver - who qualified fourth for tomorrow morning's race one - reluctantly served up more of the same in second qualifying this afternoon as traffic in the final sector kiboshed potentially faster laps. "To end up fourth for all three races was pretty frustrating really," he said. "While it could have been a whole lot worse it could equally have been that bit better. "While the front row was probably out of reach, third could have been quite easily achieved. The problem was traffic. Each time you were three or four tenths up entering the last sector you came up behind slow moving traffic queuing up to find clean air for their own quick laps. "I just have to hope that I can get off the line well because after that I think the races are going to be fairly processional because it's nigh on impossible to overtake here." Dennis was pipped to third for both races by Motopark's Markus Pommer who he shares row two with for the weekend opener. Pole for race two went to Dennis's Prema team-mate Felix Rosenqvist while Carlin's race one pole-winner Antonio Giovinazzi nabbed the top spot for the weekend finale. 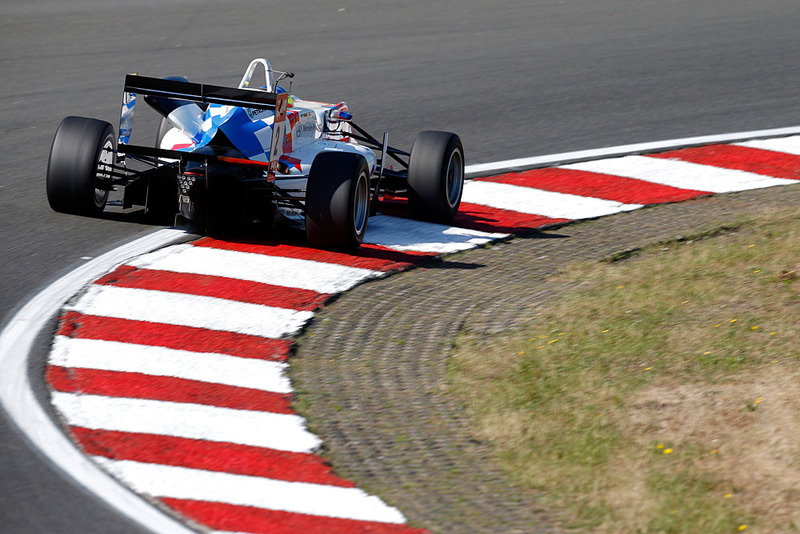 Van Amersfoort's championship leader Charles Leclerc, who qualified fifth for race one, fared less well. The Monegasque will start race two from sixth and race three from 10th.